Read about the two best styles of mutual fund investments. Mutual Fund investments have gained huge popularity among investors due to the ease of investment and the optimal growth prospects associated with these schemes. Now, one common problem that a lot of investors face while investing in mutual funds is during the selection of the scheme. Being a beginner not most of the people are aware of the parameters on which a scheme is selected, because of which a lot of them just go with random selection. The first style that most of the successful investors follow is fund based investing. Here the investor follows an investment style which includes analyzing the portfolio of the mutual fund set by the Fund Manager. By following this style, you are investing in the convictions and strategies followed by the manager. Market Cap Allocation- Here firstly you have to check the allocation of the mutual fund scheme in the stocks from different market caps which are small caps, mid caps, and large caps. This will help you in getting an idea about the growth and stability factor of the fund in different market conditions. Types of Stocks- As you may know that there are two types of stocks which are growth and value. Both types show different growth and hold different risk. Knowing the preferred sector will play a role in analyzing the risk and growth associated with the scheme. Sector Allocation- Knowing the allocation of the fund in different sectors helps in getting an idea of the future performance of the fund. Check the sectors and carry out a little research to find out the growth prospects associated with the sectors that are selected in the portfolio. Stock Selection- The stock selection of the fund is also very important as it is one thing that can help us in assessing the future performance of the scheme. 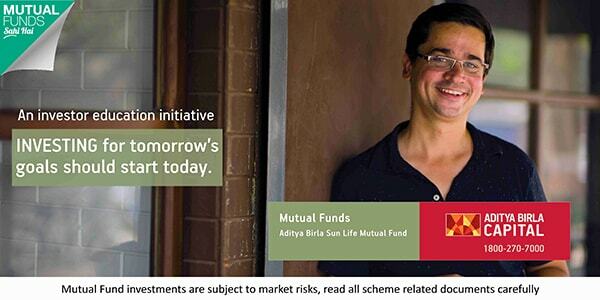 Here you should check that if the scheme is focused on some particular stock or is following a diversified style. Also, check that what kind of performance the top holdings have shown in the past and by doing a little research you can also get an idea about the future growth expectations. Now, after you have analyzed the above parameters, match them with your own investment style and risk capacity to make sure that you can enjoy a hassle free growth. In case you are not aware of your risk appetite, feel free to connect with the experts. In this style of investing, an optimal mutual fund portfolio is created in such a way that great growth can be experienced in the set time period. Portfolio based investing is a bit more complex than the above style and require a lot more knowledge about the portfolio balancing and market. Let’s take a look at how the portfolio based investing work. The selected schemes should not show any kind of portfolio overlapping. In simple terms, the selected instruments by different schemes should not show too much similarity as it can have an adverse effect during a particular market phase in the future. The scheme selection is carried out on the basis of the risk capacity of the investor so that in any market phase the risk associated with the portfolio does not exceed the individuals' risk appetite. After the portfolio setup is complete, the performance of the overall portfolio is then compared with the historical performance of the benchmark to see what kind of behavior the fund has shown in different market cycles. As setting up a portfolio needs a lot of research and knowledge, it is suggested that you connect with an expert to get it created. They, after analyzing your goals and risk appetite, will provide you with a specific solution. Must Read: How to Analyze Risk for Mutual Funds Investments? Now, after looking at the above two styles or we can say ideologies of investing in mutual funds, it’s up to you that which one you find suitable. Just make sure that before the selection you do a proper analysis of your own investment preferences and risk appetite, as both the styles hold different risk factors. In case you need any help, feel free to connect with the experts. You can also submit your queries in the form provided below.